The presentation was well attended by club members and everyone enjoyed the buffet meal provided by our club secretary Pam G4STO and Steve M5ZZZ. A toast was given for our late Chairman Chris Jones G0PIO who suddenly passed away at the end of November last year. 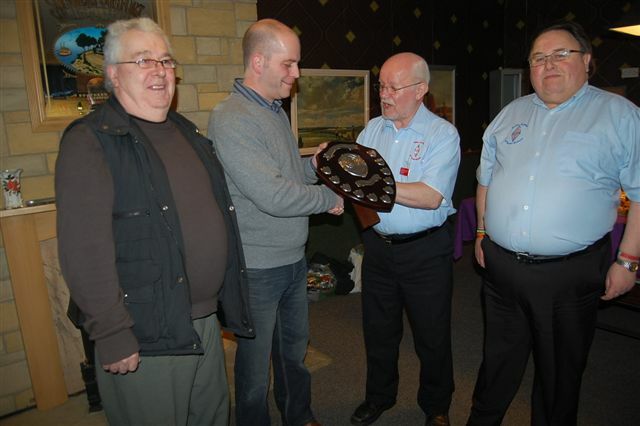 It was noted that is was the hard work of Chris that helped us to win the RSGB Regional Club of the Year. To highlight the end of the evening our Chairman Mark M0ZLE announced to club members that he had received a letter from the RSGB informing the club that Lincoln Short Wave Club has been selected as one of the three national finalists in the Club of the Year 2012. Fantastic news. 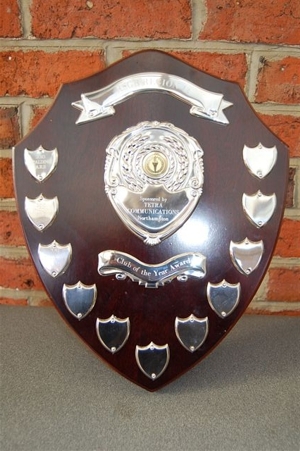 Results will be announced at the RSGB AGM on Saturday 20th April in London, starting at 12.00 noon. Please let our Chairman Mark M0ZLE know if you wish to attend. Well done all at the club, the rest is a for gone conclusion, fingers crossed. Keep up the good work.